DeBragga has made a name for themselves as a high-quality butcher that serves up steaks that will sizzle and satisfy. Their quality and selection make them our top overall choice for steak. Known as “New York’s Butcher,” you can enjoy their expertly-sourced steaks no matter where you live. Founded in the 1920s, this heritage-backed butcher shop has embraced the online format and offers an impressive range of steaks available to ship. Options include prime beef, Wagyu beef, dry-aged beef, and more. 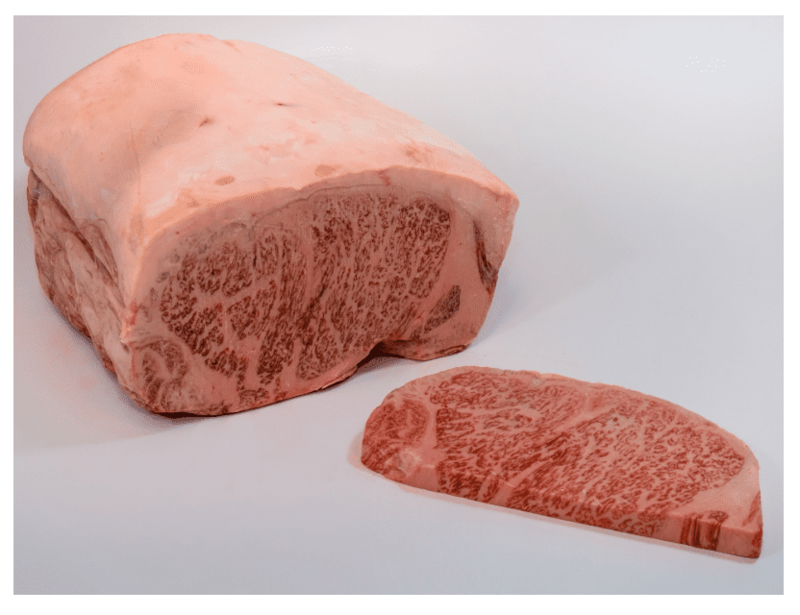 People have rave reviews for the Miyazaki Wagyu Strip Steak. While it’s a pricey cut, it’s a steal compared to the cost you’d pay in a restaurant for this A5-graded steak. Happy steak-lovers say that it tastes just like the meat they enjoyed in Japan and that it’s worth every penny. There is something for everyone on the DeBragga website, and people find the customer service and shipping to be outstanding. Peruse the online "butcher case" and find the steak that fits your menu and budget. Aside from specialties like the Miyazaki Wagyu Strip Steak, the four-pack of prime filet mignon steaks are a popular selection. Customers find them to be tender and worthy of recommending to others. If you’re looking for an elegant steak to serve at your next dinner party, the Stuffed Chateaubriand from Harry & David is our top recommendation. The chateaubriand is cut from the thickest part of the beef tenderloin. It makes for a tender, tasty roast that is often stuffed with savory complements. Harry & David’s Stuffed Chateaubriand incorporates a bacon and mushroom stuffing and is ready for roasting. You have plenty to do when preparing for dinner guests, so a simple but elegant cut of meat like this is the perfect entrée to serve. It also makes a great choice for a dinner party where you want to serve steak but don’t have the equipment or talent to grill meat for a crowd. Simply defrost the chateaubriand then follow the roasting instructions to create a gourmet dinner that only looks like it took you all day to prepare! For a gift that will impress any steak lover, look to the premium King’s Court gift set from Omaha Steaks. While Omaha Steaks offers a variety of packages and gift sets, the King’s Court is definitely the most premier option. It includes a super-sized New York strip, bone-in ribeye, T-Bone steak, and top sirloin steak. Each of these steaks is hand-cut by a master butcher, then packaged in attractive gift boxes and placed inside the individual, embroidered drawstring canvas bags. The recipient will be impressed by the presentation and even more impressed by the size of these exquisite cuts of meat. Give the gift of steak to mark a special moment or to celebrate an important occasion. It's sure to make a lasting impression long after the final bite of tender steak has been devoured. For the most discerning steak connoisseurs, try the gold grade steaks available from Snake River Farms. Featuring a Beef Marbling Standard (BMS) score of 9-12, the gold grade steaks that are part of the Gold Medal Collection are superior to prime-graded steaks when it comes to marbling and fat content. The extra marbling and fat create a steak that will melt in your mouth and feature exquisite flavor. You’ll pay a premium price for this top-graded steak collection, but the quality is nearly impossible to beat for a gold grade steak shipped to your door. Snake River Farms ships to some of the most highly rated steakhouses in the country, and you can have that same steak delivered to you. Imagine fresh, high-quality steak delivered to your door each month. It might sound like a meat lover’s dream, but it’s the reality for subscribers to Butcher Box. This delivery option is our top choice for a subscription steak service. The company features exclusively grass-fed beef and offers a number of subscriptions to meet your meat needs. The all-beef box features 8 to 11 pounds of meat, which is enough for 20 to 28 meals. If you want to pick your cuts of steak, then choose a custom box which will give you 9 to 12 pounds of meat for a small increase in price. One thing that stands out about Butcher Box (aside from the commitment to grass-fed beef) is the fact that you can choose to receive your box every 30 or 60 days. Frequent carnivores can receive the box more often, while more sparing meat-eaters can choose to skip a month in between deliveries. If you keep close tabs on the path your food takes to reach your plate, you’ll appreciate the ranch-to-table model of steak supplier Belcampo. Belcampo prides itself on excluding the middle-man and shuns additives. All of their meat is raised on their own farm and butchered and processed in their own facility. Transparency is central to the company’s identity. Quality is also paramount to the company’s mission, and all of their beef is grass-fed. Interestingly, Belcampo also matures their cattle almost a full year past the industry standard for increased marbling and fuller flavor. If you’re looking to order ranch-to-table steaks that won’t leave you wondering where it came from or where it’s been, then Belcampo is a great choice. The selection is more limited than the bigger names in steak distribution, but you’ll have peace of mind with the single-source origin. Choose the flank steak for fuss-free fajitas that will let the fresh flavor of this pasture-raised beef shine. If you are looking for the best selection of steaks to order online, then the meat purveyors at Allen Brothers are likely to have what you are seeking. With over 120 years in the industry, Allen Brothers has become well-known for their gourmet steaks and a vast selection of cuts. The company supplies meat to some of the most prestigious restaurants in the country and sells the same quality cuts to consumers. A quick glance at their online shopping site will show you the broad selection available from Allen Brothers. 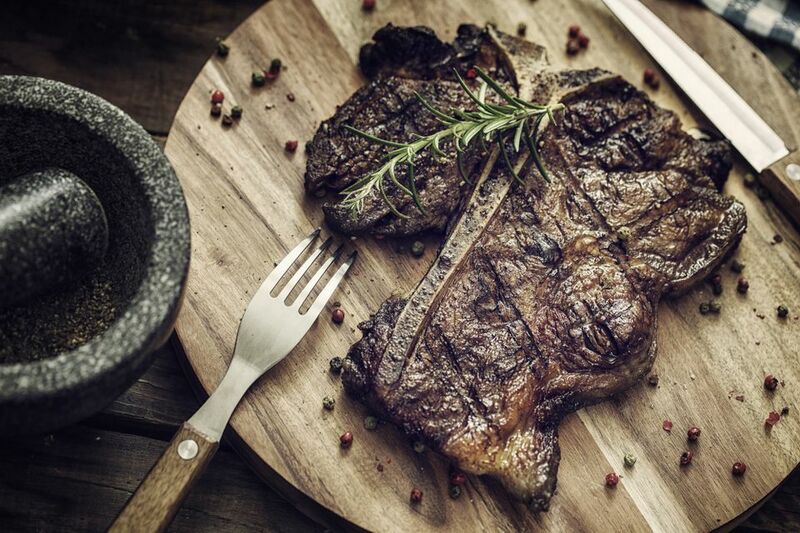 Choose from wet or dry-aged steaks, traditionally-raised beef, grass-fed beef, or natural beef. Within each of these categories, you can select a wide array of cuts, such as the full-trim filet mignon, baseball-cut sirloin, strip steaks, city ribeye steaks, and more. Most cuts are available in varying weights, and you’ll get a better price if you buy in quantity. Don’t expect to get a bargain, though. These gourmet steaks feature premium prices.